Grand Season Opening May 11th! Join US for Friends, Food, and Fun! STARTING May 11th WE are open every weekend Fri, Sat, and Sun for normal hours until the end of October. 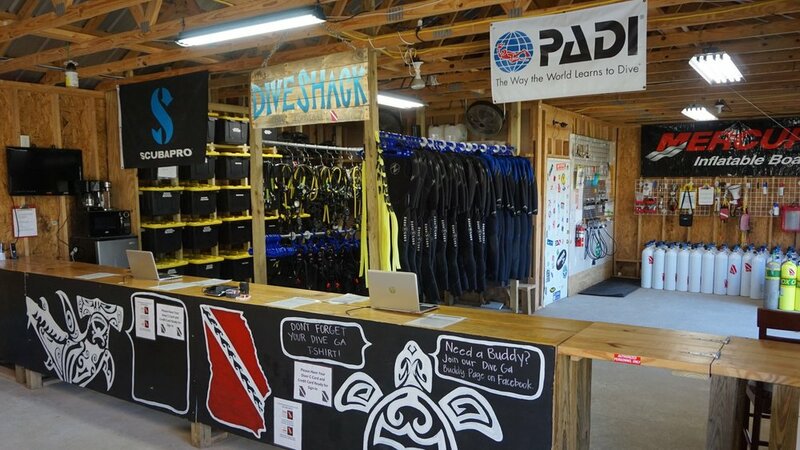 Come join the only dive and watersports resort in the state of Georgia! Located in White, Ga and only 40 Minutes from Atlanta it has all the facilities, air, equipment, and staff you may need to get wet! Scuba Diving, Stand Up Paddle Boarding, Kayaking, Canoeing, Oh My! We allow most non-motorized watersports on our 20 acre spring fed lake! So what are you waiting for? Come get wet! Want to make a weekend of it? We have you covered! We have camping and camper spots available for Friday and Saturday night for you! Just checking during operating hours and your good to go! Diving is an exceptionally safe sport due to two things.... Training and Experience! 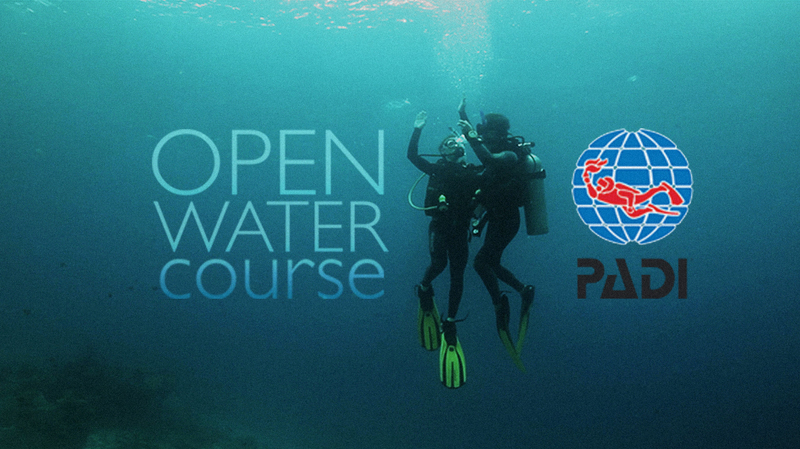 Your Open Water certification is just the beginning. More training gives you the skills to explore more and be safe doing it! Or just be like all the other cool divers and become a Master Scuba Diver! With Kraken Springs being so close, why not stay wet all season long! We have entry, air, and camping passes for the entire season so you can have a blast! Industry Instructors even get their own special card! We know how much you just love filling out forms, so we decided to give you a head start getting them done! Save time at the counter by downloading and filling them out in advance and bringing them with you. Join Our Social Communities - Find friends to hang out with! Camp Sites, and RV Sites Up and Running! Grab Your Season Pass for a Year's Worth of Fun! Whether you like to look for the elusive jellies, you are trying to get a photo of the Kraken or you just can't get enough of Kraken Springs, a Season Pass is for you! After many inquiries, we are excited to now be offering Season Passes, with different levels to fit your diving and watersports-fun needs! 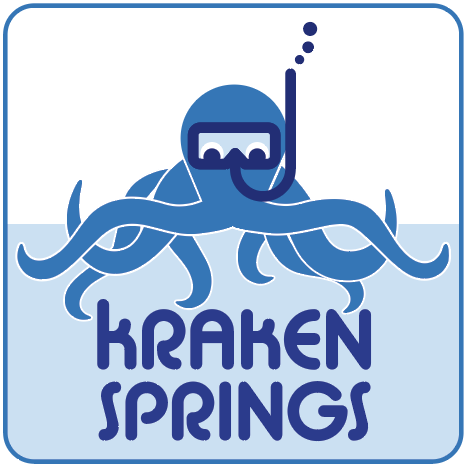 Welcome to the Family, Kraken Springs Watersports Park! KRAKEN SPRINGS WATERSPORTS PARK IS BORN! We are thrilled to announce the formal purchase and closing of the land and property around what was formally known as the Dive Georgia Quarry! This allows us much more property to work with and freedom to massively grow the operation and expand upon the activities and services we can offer.